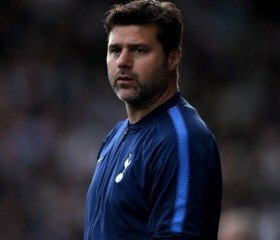 Former Liverpool and Tottenham Hotspur star Jamie Redknapp believes Manchester United should fancy their prospects of landing Mauricio Pochettino from Spurs when the season concludes. The Argentine tactician has been regularly linked with the managerial role at Old Trafford over the past 12 months and the speculation has only intensified with the recent sacking of Jose Mourinho by United. Speaking to Sky Sports News, Redknapp feels Spurs could be helpless in their bid to keep hold of Pochettino beyond the current campaign, should United come up with an offer for their manager. "I think Manchester United will get him. I think they will go for it and I think they will get him," He's a very talented manager, the players adore him and play for him and you can see why Manchester United would want him," he told Sky Sports. United have recently taken the decision to appoint Ole Gunnar Solskjaer as their head coach but the Norwegian is only expected to serve for the season before returning to the helm at Molde from where he has been loaned out.